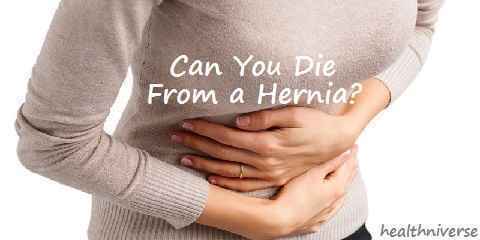 Can you die from a hernia? You probably ask yourself this question if you or your loved ones are suffering from the condition. A lot of people underestimate hernia, thinking that it is mostly harmless and not dangerous. Will my hernia kill me if it’s not repaired? Although hernia is naturally harmless, you should really know the basic so you can get the proper and correct treatment. What is hernia, anyway? 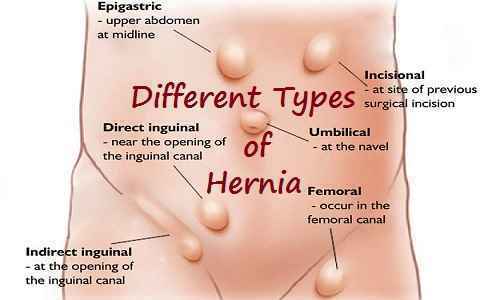 Basically, hernia is a soft bulge or swell under the skin which can appear at any place on the body. Some hernias are visible while some aren’t – they are only visible when standing up or lying down, it really depends on your condition. What causes hernia? You see, your digestive system is a complicated and complex system where there are layers of parts. There is the so-called abdominal fascia which is the connective tissue in the form of strong sheet or layer. Your abdominal muscles are generally located there. When there is a hole or a tear on this fascia, it needs a surgical procedure to close it down because it can’t repair itself. The problem is, a part of the digestive system may be ‘stuck’ on the hole. If there is abdominal content or tissue that is protruding through the hole, it will create a soft bulge – the hernia. You can’t generalize hernia because there are different types of it, depending on the location and whether you can push it back or not. For instance, hiatus or hiatal hernia usually happens around the chest, associated with acid reflux and the discomfort. Inguinal hernia is the one happening around the groin, related to pain, aching sensation, excessive pressure, and weakness. In general, the bulge will look bigger when you stand up or when there is pressure that will push the bulge forward (such as straining, walking, or coughing). Reducible hernia is the condition where you can push back the bulge to its place so it won’t protrude. This type of hernia isn’t life threatening although you still need to find medical treatment (hernia treatment without surgery). You don’t want to experience the non reducible hernia, which means that the bulge is ‘stuck’ and trapped and you can’t push it back. This type of hernia is more painful and disturbing so you want to get help as soon as possible. In this type of hernia, the pressure can be intense, completely cutting off the blood flow to the area. When a body organ doesn’t get the blood and oxygen supply, it will die. Imagine the complication when the trapped organ causes series of discomfort and problems, such as toxicity because it obstructs the digestive process or you won’t be able to pass stool because of it. If you suspect yourself from suffering from a hernia, you’d better see the doctor and have yourself checked. In most cases, treatments aren’t required – meaning that you should observe and monitor your condition without having to go through any medical procedures. But in the non reducible hernia, immediate care and treatment are needed. It is likely that doctor will recommend a surgical solution. So, if you ask yourself can you die from a hernia in your stomach, groin or belly button, the answer is yes, if you suffer from the non reducible type in a worse stage.